Throughout her training as a psychologist, Simone predominately worked within tertiary hospital settings, including the Queensland Paediatric Rehabilitation Service at the Royal Brisbane Hospital, Brisbane; Acute Adult Psychiatric Unit and the Neurosciences Department at the Princess Alexandra Hospital, Brisbane; Central Highlands District Mental Health Service, Emerald; and the Queen Elizabeth Jubilee Hospital, Brisbane. In 2007, Simone commenced working at a group private practice and quickly progressed to executive roles in this setting due to her professionalism, clinical excellence and exemplary leadership. In January 2015, Simone launched her independent consulting firm Sure Psychology. 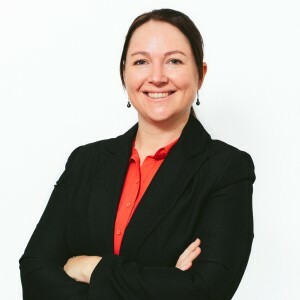 Simone has worked for over a decade as a Clinical Psychologist and Clinical Neuropsychologist in both government and private sectors and has experience in assessing, diagnosing and treating clients with a range of psychological and neurological conditions. She specialises in conducting independent psychological and neuropsychological fitness for duty assessments. Simone’s practice also focuses on conducting independent psychological assessments and workplace factual investigations within the workers’ compensation jurisdiction. Additionally, Simone’s repertoire includes the provision of workplace training and clinical supervision. Simone has travelled extensively throughout Australia as a fly-in-fly-out consultant psychologist and has a passion for rural and remote psychology; as she has firsthand knowledge of the sparsity of services available for these populations given her rural background. Simone possesses excellent organisational, communication, interpersonal and client relationship skills; which when coupled with her easy going and approachable demeanor, allows her to quickly and effectively develop rapport with clients ranging from team member to CEO level. Simone has several years of experience working in Executive Leadership and Director roles. Simone sat on the board of the Australian Psychological Society (APS) College of Clinical Neuropsychologists, Brisbane Branch as Secretary in 2009-2010. Additionally, Simone has filled various executive leadership positions within the health industry in the private sector, including Managing Partner, Divisional Manager, Director and Company Secretary.